University of California at Berkeley students on campus in front of Sather Gate in Berkeley, Calif., Wednesday, April 19, 2017. Minding the small and ordinary can make an extraordinary difference for students. 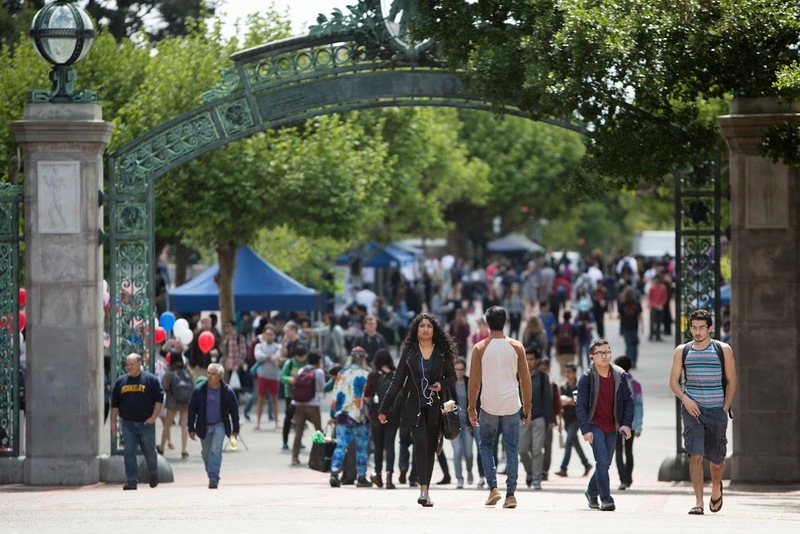 California’s public university systems — the University of California and the California State University — have identified high school course requirements (known as A-G) for admission to their universities. The A-G course list is designed to ensure students learn and can apply specific knowledge and experiences needed for more advanced post-secondary study. But between high school and college systems, simple errors can block the desired seamless highway. An estimated 10 percent of the students who graduate having completed California’s A-G course requirements can be denied admission when a course they (and their school) thought met A-G requirements does not. This means that each year 15,000 to 20,000 graduates are potentially affected; and that number has increased each year for the past five years. School districts submit courses at their high schools to the university system for approval of A-G credit. Once the courses are approved, they are added to a list of courses for that school. UC and CSU admissions evaluators refer to this list when reviewing student applications for undergraduate admission. However, if the course on a student transcript doesn’t exactly match a course name on the approved course list, it won’t be given A-G credit. In 2015, to establish a more streamlined A-G course submission and review process online, the University of California Office of the President created the Course Management Portal (CMP) that allows districts to monitor and correct errors, such as approved courses that are missing in the certified listings. But small and rural districts rarely have the capacity to do the types of reviews required to check on their A-G course offerings and monitor and maintain course lists. And large districts can struggle to manage the many hundreds of A-G courses among multiple high schools. Furthermore, the university system cannot directly access school district student information systems to try to resolve issues like a typo in a course title, courses that may cover the right content but have a different course title or courses districts believe are in the system and approved but are missing. Responsibility for identifying and correcting errors has been placed on school districts, which, with the best of intentions, can be an unrealistic expectation. The university system has made available web-based systems for youth, parents, and counselors to monitor a student’s progress in completing the requirements at every step in their academic career. It also provides recently improved reports back to districts with the goal of increasing the accuracy of their A-G course designations. However, the burden of discovery and making corrections remains with the district where the high school is located. We owe it to students to communicate university A-G course requirements clearly, monitor their progress, and make timely corrections that allow them to stay on track to start and succeed in college. To do so, we must ensure they are working with valid and reliable information. Access comparison reports between the courses in the local student information system that districts believe are approved and those actually in the transcript evaluation service system. Identify the source of the problem such as errors in the way courses are listed in the UCOP system, errors in the district data system and/or errors across years for the same course. Use the course management system to correct course listings or make changes to their district student information system. Institutionalize annual reviews to ensure A-G course listings are kept up to date. Conducting these reviews and addressing inconsistencies are small, but critical, steps for streamlining student access to California’s public universities. The process identified here will make a big difference in closing the state’s education and, ultimately, wage and opportunity gaps. 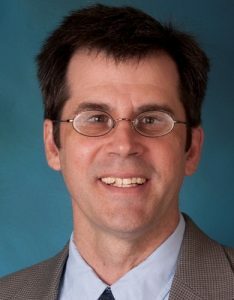 John Watson is senior director of IT and Analytics at the Institute for Evidence-Based Change, a nonprofit organization based in Encinitas, California that supports institutions and organizations with data solutions to improve student success in higher education.